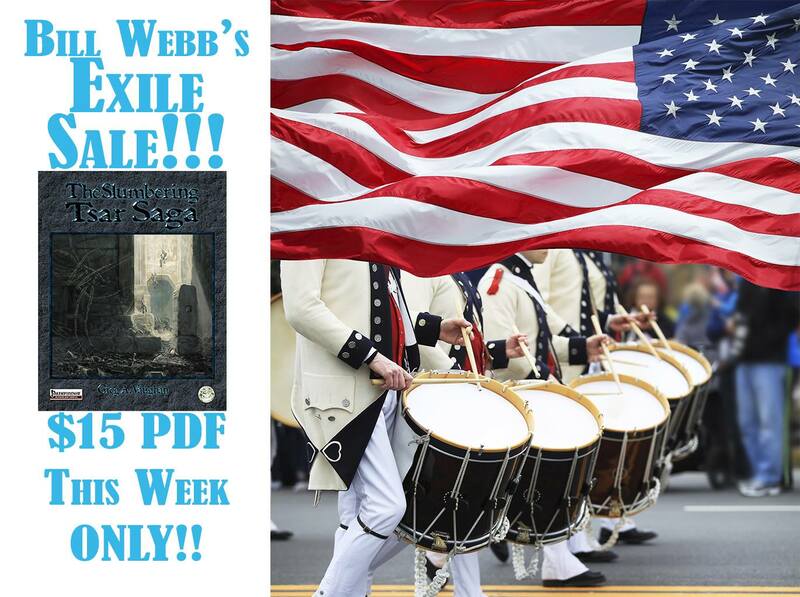 Tenkar's Tavern: Bill Webb Has Left the Country - Frogs Are Running Amok Sale - Deep Discounts! Bill Webb Has Left the Country - Frogs Are Running Amok Sale - Deep Discounts! Yep, Bill, Krista and the tadpoles have left the country for a vacation abroad and they've left the other Frogs in charge of the company. To put it plainly, Bill's loss is your gain. There are TWO sales kicking off right now. 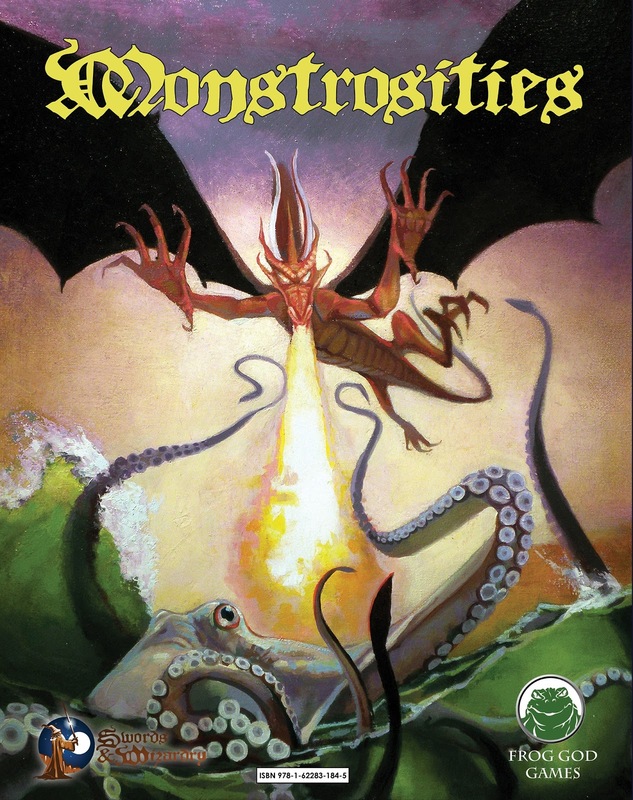 The first is a bundle: Monstrosities and 1975 for Swords & Wizardry for 10 bucks in PDF. I kid you not. 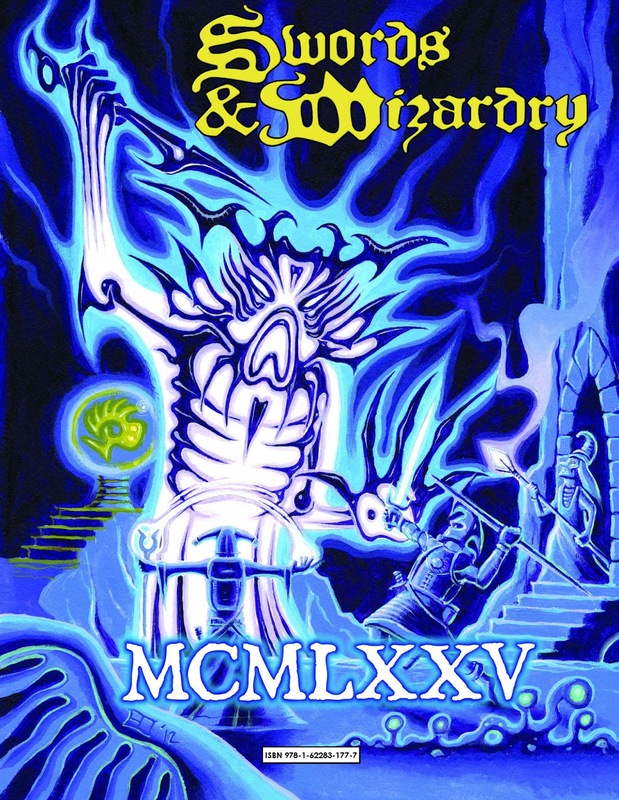 Now, you need to go to the Swords & Wizardry Legion Facebook page to grab the coupon code that opens up the bundle pricing for you. If for some reason Facebook is your kryptonite, you can email Bad Mike at mikebadolatoATntrpgconDOTcom and tell him you want to join the Legion but Facebook is beyond your ken. 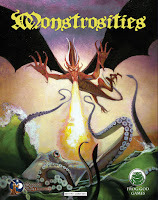 Monstrosities is my favorite monster book by far. Each entry give you an adventure hook. One day I want to run a campaign using nothing but the hooks in Monstrosities and a little DM ingenuity. 1975 is simply an excellent old school adventure. I've run it twice to great success. Now, I had the time to digest the whole epic – and it’s better than the sum of its parts – tying everything neatly together sans artificial borders, adding player-maps,l getting rid of just about every glitch I complained about in above reviews, the final result is a milestone of the art of adventure-crafting and takes the word “epic” to a whole new level. 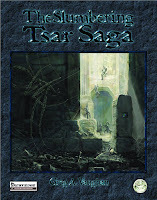 Well worth every single buck spent for the module and #2 on my best-of of 2012-list, this epic tome is 5 stars+seal of approval and should stand on the shelf of just about any DM! If you haven’t yet, take a look at its 951 pages of glorious deadliness here. There you have it. Frogs run amok. Yes, I now swim in the Frog's pond but I make no commissions from these sales. 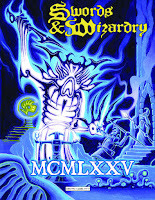 They are simply damn good pricing for some awesome RPG products with that Old School Gamer sensibility. Wow. I have wanted to check out the Slumbering Tsar for a long time, but not having a taste for Pathfinder, I waited and hoped for a S&W translation. For $15, I'll read it in PF...good deal.